The Grand Finale of the biggest educational competition for school children, ‘Panchathanthiram’ (Pentathlon) hosted by Shakthi TV was telecast on October 15, from the Stein Studios, Rathmalana. Out of the many schools who entered the initial round of this competition from all around the country, 32 schools won slots at the round two of the competition. Out of the 32 schools, the yearlong competition saw three schools winning eligibility to enter the Grand Finale. The three finalists were, Ramanathan Hindu Ladies College - Colombo, Matale Paakkiyam National School and Amina National Ladies School - Matale. 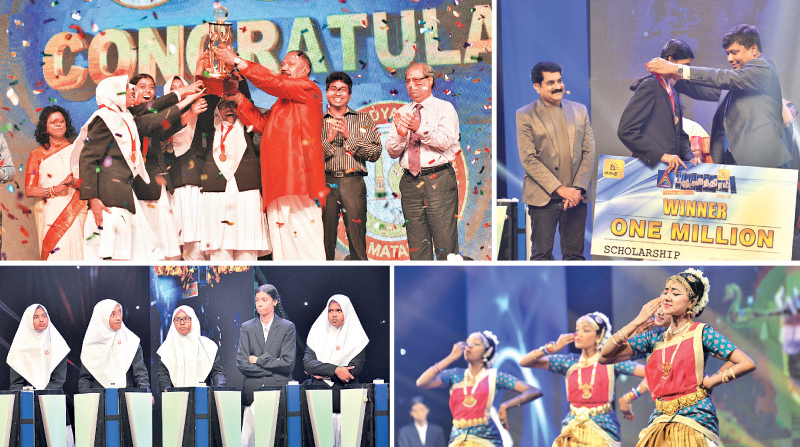 Amina National Ladies school - Matale emerged as the winners at the Grand Finale. The winning school was awarded Rs.5mn with each contestant of the winning team receiving Rs.1,000,000.